Some parents may have several accounts at the same school, it is a best practice to streamline the accounts and just keep one. 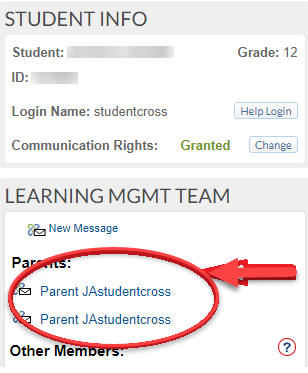 Here is an article which provides information about Multiple Parent Accounts to Parents or Students. 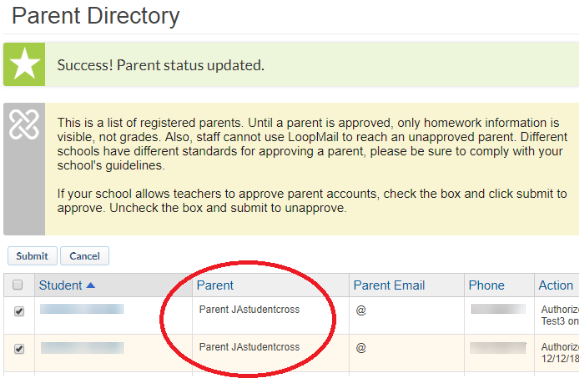 Log in to School Loop with Admin user credentials. Go to User Management->Parents->Parents. This will display a list of all registered parents. Check with the user which account they would like to keep and delete the duplicate ones. Click Delete and confirm that the record should be deleted. Advise the user to check their School Loop account and confirm that the duplicate user is no longer existing. After the deletion, only one account is displayed.